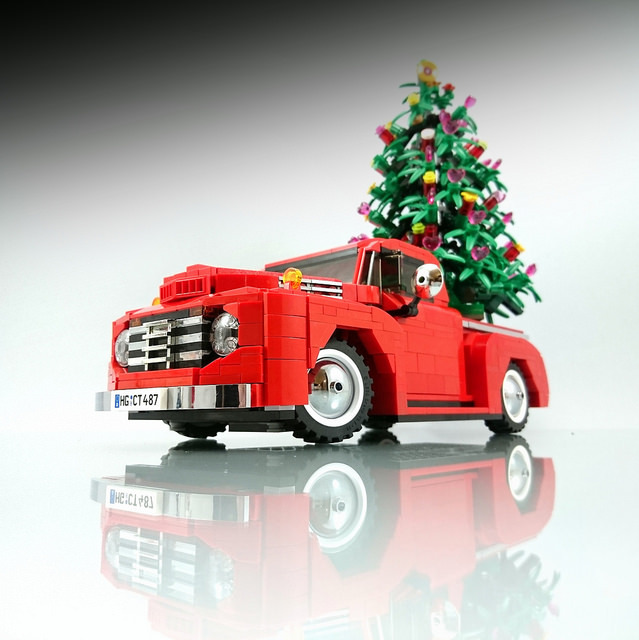 We all know Jordanian builder Firas Abu-Jaber as a great car builder, but for me, the star of the show this time is the great Christmas tree in the trunk. The perfect cone shape and the vibrant colours of the decoration make for great eye candy. And the photo’s angle just adds to all of that. 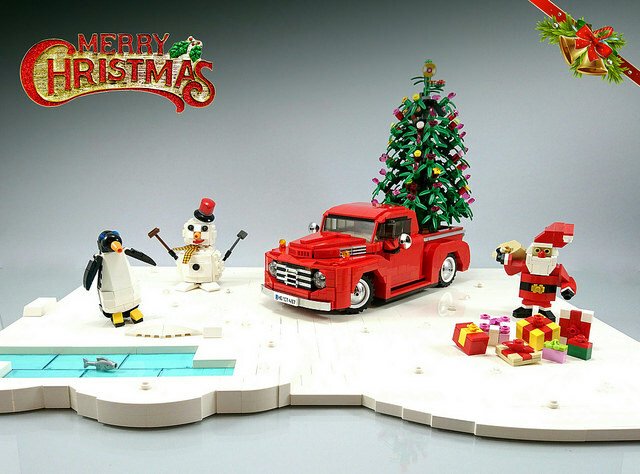 This LEGO creation captures both the holiday spirit and the aesthetic of classic cars perfectly (the red colour of the car helps a lot! ).